I seeking an accurate full size drawing of the Stradivarius Messiah, or another well known Stradivari violin, from which to make patterns and mold for my first violin build. is the Strad poster my best bet? ive heard it may not be totally accurate. Thanks in advance! Have you seen this http://www.makingtheviolin.com/ ? There are really good posters for the Titian and Huberman Strads. They do show arching deformation in spots, which I wouldn’t recommend copying. You can get a good set of reference measurements from them and then make some nice templates. Many Thanks for your input! I get your point, that perhaps I shouldn't be so concerned with extreme accuracy of the historical model for a first attempt. I figured that connecting my 'first born' to some actual historical model could give me an extra motivation, especially during time of struggle and disappointment, which I assume I will encounter! ... and thanks for the encouragement. will keep you posted on progress. As a side note , the Messia is for all it,s glory, an acoustic unknown, hasn’t been played in any serious way for some time. The arching is far too low for my liking. I think that the outline is nice, and with higher arches, it probably has the potential to sound good as a model. That,s the approach I have used . The Messiah outlines, corners and f holes are very nice, so go for it. Don't take the poster as a template, the outline does not match the real thing at all since the poster is printed a few percents too small. The drawings from the ashmolean are very nice. I was getting ready to push the send button on the Messiah poster and noticed a few of the other posters had CT scans, dimensions, thickness and arching maps. It seemed that the Dancla poster was a good one? So, I switched the order and my focus to Strad's Dancla. I'm planning to do working drawings using the poster as an underlay. So, the first step of my exciting journey has happened! Will keep you posted on progress as it occurs. Thanks for your input on Messiah. with CT scans, dimensions, thickness and arching maps, it seemed that the Dancla poster has more info than Messia? 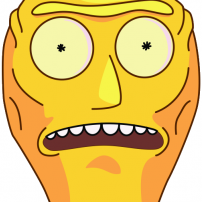 So, I ordered Strad's Dancla poster. I'm planning to do working drawings using the poster as an underlay. I wouldn't use the messiah model for another reason: if you do well it will look like Collin-Mezin. The Betts is a good model for early golden Period and there is plenty material available. You’ve got a lot of excellent info available in the posters. This doesn’t need to be a deciding factor for you, but I like the idea of choosing a model that both looks appealing and is known to sound good. 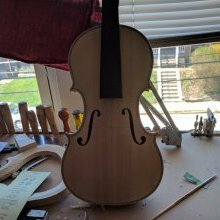 You can listen to recordings of the violins and see what you like and then try to come up with ideas about how to recreate or modify that when you make your own instrument. When it’s done you can play it and see how it differs or where it has similarities. Good luck in your endeavors! my only VERY minor criticisms..
2- scans are presented with bass bar and sound post both on right side, which is a bit confusing, especially since plate thickness map shows bar on left. ps. poster delivery from UK only took 3 days! The neck itself is probably not in original condition having been modified through the years. JMJ, any ideas on what input to use for neck design/ drawing? Get this and the poster out of the Strad. There is also a technical drawing by John Pringle of the 'Alard', a 1649 violin by Nicolo Amati, which you could pair with the 'Alard' poster out of The Strad. It can really help to have multiple resources to consult. The Pringle drawings can definitely be trusted--no distortion from a lens etc. But you will definitely benefit from the photos on the poster. All you need is here from Davide Sora. Check out his scroll carving videos on YouTube as well. Davide is a top notch maker and excellent teacher. If you were to decide to go off the Cremonese reservation -- I don't know that I recommend that for a first build -- and want to try the Maggini of which there is a Strad poster, feel free to PM me. I have a set of photos of the National Music Museum's Maggini that I took and they would be helpful in understanding features in his work. To my knowledge the instrument in the Strad poster is not the one in the NMM's holdings, but no one is going to hold you to a slavish faithfulness to the poster. I suggest using the Betts for shape and arching, but use the Messiah for the varnish style. I highly recommend "The Absolute Stradivari the Messie violin 1716/2016" edited by Fausto Cacciatori & Gregg Alf. I picked this up while visiting the Museum of the Violin in Cremona.